A few years ago I made the decision to restart my business. I wrote previously about how I killed almost all my income streams, and I did it on purpose. This was the beginning of the restart process. This is the same question every new entrepreneur must answer first. Without it, you are destined to fail. So you’re probably wondering, what is that question? When I first became an online entrepreneur I was pretty clueless about how businesses worked. My business education consisted of stories I read in magazines and newspapers, or interviews on the radio, with these men and women who had ideas for products, launched them, and then the money started flowing in. My assumption was pretty basic back then: Make a product, buy some ads on TV, radio and in print to sell the product, then watch the money flow in. My awareness was limited to what I knew, hence I focused entirely on myself when it came to business ideas. I didn’t factor in the people who would buy this product. I didn’t consider my customers. I knew nothing about them. In fact, I figured that with a cool product and good advertising they would just ‘turn up’ and buy. That might happen if I got lucky, but I wasn’t customer-centric back then. I was more caught up in the romance of being an entrepreneur, my cool product ideas, and of course, the big money that could be made. What does ‘marketing’ mean to you? If you’re like me when I first started as an entrepreneur, I thought advertising and press coverage was marketing. I thought it was about broadcasting messages using paid media, and getting free exposure for your message through mainstream press. Those are good platforms for marketing, but they are only channels, techniques you can use to deliver your message to people, they are not the message itself. Over the years I learned that marketing is a social science. It’s the study of human behavior when it comes to purchasing decisions. It took me a very long time to truly understand this. Even as I started blogging my focus was heavily skewed towards what I cared about without any consideration for what other people wanted. I invested a good two years of blogging before I figured out and refined my message to something my audience wanted. Strangely enough, as soon as I did this, my income skyrocketed. 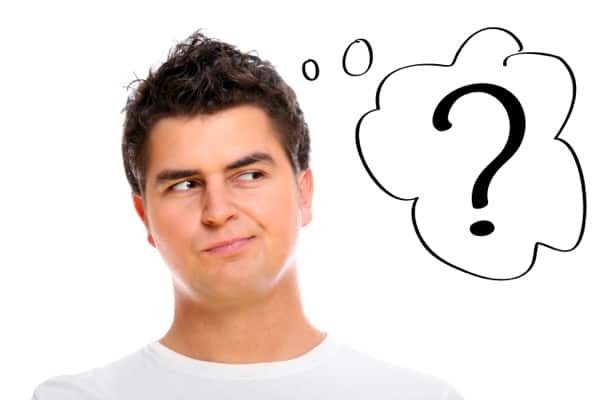 What is the fundamental question you need to answer if you’re going to make money online? The question is what do your customers want? (and secondarily, what do they actually need?). I faced this question when I restarted my business. I felt I knew my market well having already spent eight years blogging and teaching through online courses. Yet I didn’t want to make assumptions. I wanted to hear the words said directly to me. I wanted my customers to tell me, word-for-word, what they thought their problem was and how it was stopping them from getting what they wanted. I could then use my knowledge and experience to figure out what they needed. So what did I do to get the answers to these questions? I spoke with actual paying customers. What Do Your Active Buyers Want? Here is the question you need to answer. The answer to this question comes from more than just observational research, anecdotal data, stories, friend recommendations or even what a mentor or mastermind group tells you is the answer. You must learn the answer from people who are actively trying to solve their problem and are willing to spend money to do so. People who have never spent money to try and solve this problem are NOT active buyers. Ideally, you want to learn the answer from people who buy from you — your first customers are your research customers. Wait! What? — They spend money to give you the answer? Yes, that’s right. There are ways to get people to pay money to tell you what they want. Does that sound like a pretty ideal form of research? This is why when I restarted my business the very first thing I did was send an invite to my email newsletter for paid private coaching sessions with me over the phone. I’ll be honest, one-on-one coaching is not my favourite way to make money, but it is by far the best way to learn about your target audience. It’s also a great starting point when you have nothing else to sell yet. I ended up conducting almost 20 private coaching sessions in a two month period. Of course, the purpose of the coaching session is for me to help my client, but it is also the ideal circumstance to refine more clearly what they want. If you don’t offer coaching, offering some kind of paid for service (contracting, freelancing, consulting, etc) can also help you figure out exactly what your customer wants. They’re going to keep telling you what they want from you until you give it to them, because they’ve paid you money for it! The more direct contact you have with active buyers, the more you learn about why they spend money and what that purchase is meant to help them do. You will learn why THEY are stuck, what THEY want, and how exactly THEY describe their problems. Unfortunately, most entrepreneurs start with the product in mind, create it, launch it, then attempt to convince people they need it. You can guess where that leads. No sales, no customers and one important lesson – you know what people DO NOT want (that is a step forward, but a slow and painful one if you just spent a lot of money and time on a product no one purchases – trust me, I’ve done it). Have You Ever Spoken To A Buyer? Have you ever spoken directly to a buyer? When I say buyer, I mean someone who has purchased something designed to solve the problem your potential new business is intended to help them solve. If the answer is no, you may have just figured out why you’re stuck. It’s hard to gain clarity and direction when you haven’t learned about the people who drive your business. P.S. I’ve created a new product that I’ve wanted to develop for a long time. It’s specifically designed for you if you’re struggling to figure out where the money is to be made online. 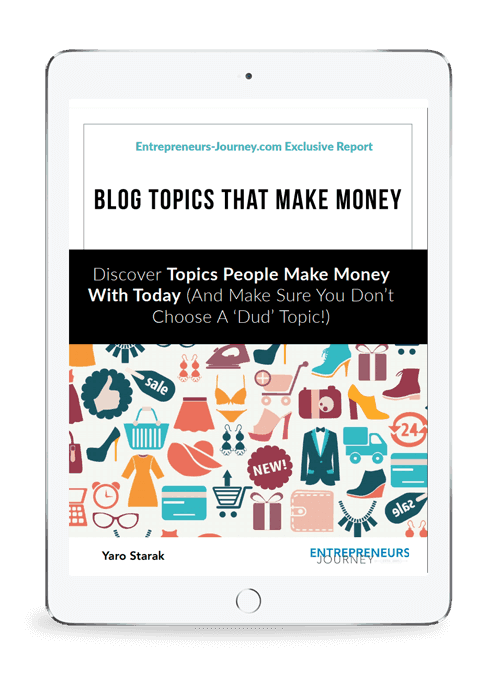 If you’re frustrated because you can’t find a money making topic, or you can’t figure out where the money is in the market you have decided to go after, this is exactly what you need. For every problem there is a solution, and the solution could make you a fortune, so the bigger the solution the more income. That was probably the best article I’ve read which felt like it was directed straight at me! Really look forward to reading the next article about figuring out where the money is. This is my biggest stop point at the moment so are really looking forward to reading. It also may be just what I need to feel confident enough to sign up to Blog Mastermind! Glad you found it helpful Chris. I’ve been focused on this issue more than any other for the last three years. It’s such a challenge for many people. The program I am releasing next week is called The Blog Money Finder, which might appeal to you! That’s a great way to build your new business Yaro – but when it comes to the average Joe (who hasn’t made a sale) – how does he or she approach the same scenario? Think about the final question I asked in the article. Do you think that is something the average Joe can do? 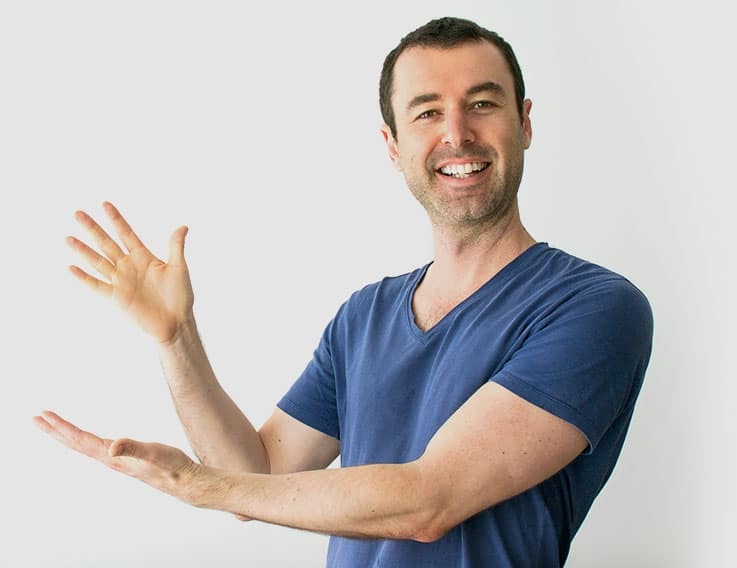 Hello Yaro – been following you since Ryan Lee first interviewed you years ago…as an online fitness and nutrition gal (for women), in your coaching support, can you work with the existing web site and products? At this point, I have revamped with much time and money and don’t want to ‘reinvent’ the wheel, but have lots of product (online training products) that I market every month…sales are good, but I want great. Thank you! I actually prefer to work with people who already have a successful ‘expert based’ business. It’s a lot easier for me to deliver a result once you have customers and product(s), since you can do changes and see the impact quickly. I like to provide guidance to people just getting started of course (hence an article like this one we are commenting on), but I can do a lot more with people who are a bit further down the business path. I have a number of fitness/health people in my coaching community (EJ Insider) and also who have taken Blog Mastermind. I’m confident we could make some progress with your business too! I definitely agree on this. I have read a blog a few days back and it says that one problem that online businesses fail to look into is assuming their customers mind-set. As an entrepreneur, you need to go out of your way and think like your customers to have a successful business. As funny as it may sound, this is the same mistake I’ve been making and i know a lot of people that are also making it. We often thinks that we should first create the product and then, people will pull down our doors just to purchase it and when the final product is finally out, it only be for us and for our friends. This is really a very interesting insight Yaro, thanks for sharing. Thanks Yaro, as always good clear down to earth common sense!I’m writing a booklet on trauma that is easily accessible for my clients/customers.Lots of clinical/technical books have been written but nothing for the ordinary person! It just goes to show that you shouldn’t build a better mouse trap for people who don’t have a mouse problem. This is the reason that research should be the first step in any product creation (or any other sales) venture. There are several easy ways to find out what people want – surveys, questionnaires or just look at what is doing well. See what people are talking about in ‘water-cooler’ situations – social media and the like. Basically adopt one of the most difficult positions for someone who is used to shouting from the rooftops… Be a LISTENER. After that, it’s a doddle (British for ‘easy’). Great efforts on writing and sharing your experience. I spent years of study from many experts but all time it goes back to about “THEIR PROBLEMS” more than “OUR IDEAS”. I liked the angle you showed in your post and it is definitely the one article I’m going to add in my solution selection for the site. I agree with your ACTIVE buyers scenario. The active buyers (real people in pain) can share with us real problems that we can focus to solve. wow you’re a genius! I should have realized that..
You are a huge inspiration to me. I just started a new business blog which I have sworn to invest all the amazing lessons you taught me. I’m an entrepreneur on a journey.